WEDNESDAY, 17 FEBRUARY – Faculty staff were urged to diversify their skills in addition to their core duties in the office. Dean of the Faculty of Science and Natural Resources (FSSA), Prof. Dr. Baba Musta said, employees should take advantage of sharing opportunities and improve their skills in tandem with current technological advances. He said this when opening the Media Technology Applications Course Series 1, organised by FSSA held at the Computer Room 1, FSSA. Regarding the course, he praised the efforts of the Administration and Finance Sector of the faculty headed by Hasmi Hashim for their efforts and concern on the development of skills among staff by organising opportunities among staff of different schemes. Hasmi Hashim when met by media said, through this course, programmes and activities could be carried out in a prudent manner by disseminating information through visual aid using smartphone. “This is also one of the faculty’s efforts in supporting the call made by the university to be prudent, as stated in its policy,” he said. 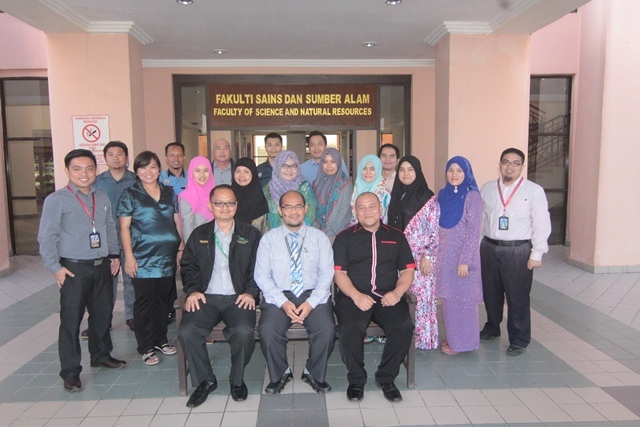 The course was attended by 20 staff and was conducted by Assistant Information Technology Officer, Redzuan Abdullah.